We have taken the hassle out of programming the ATmega328. We pre programmed the ATMEGA328P-U with the Arduino Optiboot (Uno 16MHz) Bootloader. 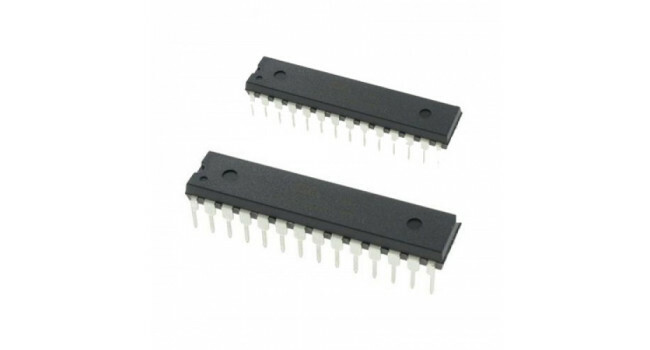 To get this chip working with Arduino IDE, you will need an external 16MHz crystal or resonator, a 5V supply, and a serial connection. If you are not comfortable doing this, we recommend purchasing the Arduino Uno board that has all of these built into the board. 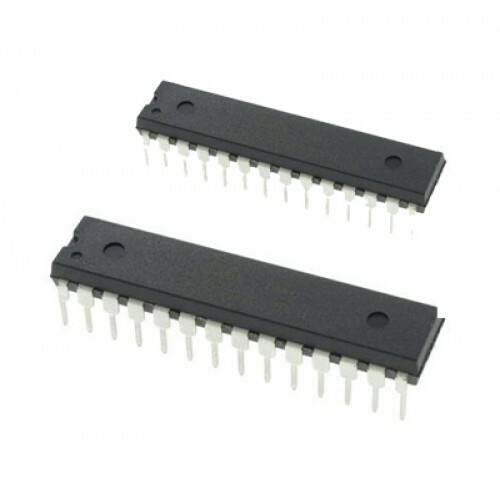 Atmel's ATMega328 8-Bit Processor in 28 pin DIP package.